Superior Blood Platelet Treatments for Soft Tissue Injuries, Overuse Conditions, Spine Pain & Moderate Degenerative Conditions. Delivering Up to 40 Times Normal Platelet Concentrations! Call 412-963-6480 Are You a Candidate? Patient outcomes are the #1 priority at Regenexx. Our lab processing of blood platelet mixtures is far more labor intensive than the automated centrifuge used by others, but we are able to create customized solutions for our patients, with platelet mixtures that are more pure and concentrated. Platelet Rich Plasma (PRP) and Platelet Lysate Injection Treatments contain healing growth components from your own blood that increase your body’s natural ability to repair itself. Like espresso shots for construction workers, platelet injection treatments also have a stimulating effect on the stem cells within the targeted area, making those stem cells work harder to heal damaged tissues. Platelet Rich Plasma (PRP), is a non-surgical blood platelet treatment that is typically used to treat muscle strains & tears, ligament & tendon tears, minor arthritis, and for joint maintenance. PRP is also used during the post-injection phase of our Same Day Stem Cell Protocol to help stimulate the stem cells to work harder in repairing injured tissues. 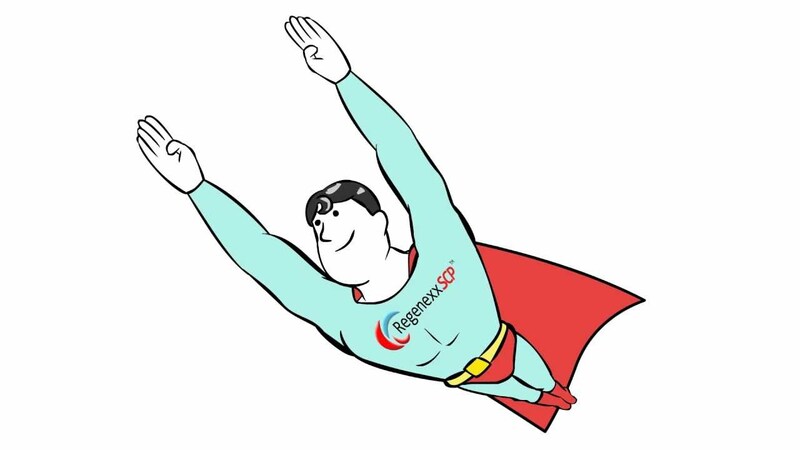 Regenexx Super Concentrated PRP is an advanced form of PRP injection, costing less than stem cell procedures and commonly used in less severe injuries and orthopedic conditions. The concentrated blood platelet injection contains healing growth components that increase the body’s natural ability to repair itself. PRP treatments can be effective because platelets have a stimulating effect on the stem cells within the targeted area. Stem cells are found throughout the entire body and play a key role in repairing damaged tissue, so a primary goal in platelet treatments is to get these powerful cells to work harder and faster. In most clinics around the world that do PRP treatments, the process of creating the PRP involves extracting a patient’s own blood and running it through a simple automated bedside centrifuge machine to separate the plasma and concentrate the blood platelets, which are then automatically extracted and used for the PRP injection. These machines are not very good at removing the undesirable cells from the resulting mixture. Our lab tests indicate that white and red blood cells have an inhibiting effect on the same stem cells the platelets are trying to stimulate, and may cause excessive inflammation following the injection. Our PRP is more pure, concentrated and customizable, since it is created in a lab environment by a skilled technician who can separate and concentrate all of the blood’s good components and get rid of the undesirable cells. Platelet Lysate (PL) is an even more advanced variation of Platelet Rich Plasma. PRP works by concentrated platelets slowly releasing growth factors over approximately a week. Much like a timed release version of a pill. If you want an immediate release version, with many more growth factors available all at once, you use a platelet lysate (PL). In our experience, while PRP can cause inflammation, PL is very anti-inflammatory and is used more easily around nerves, which is why it is commonly used in our Spine Procedures. 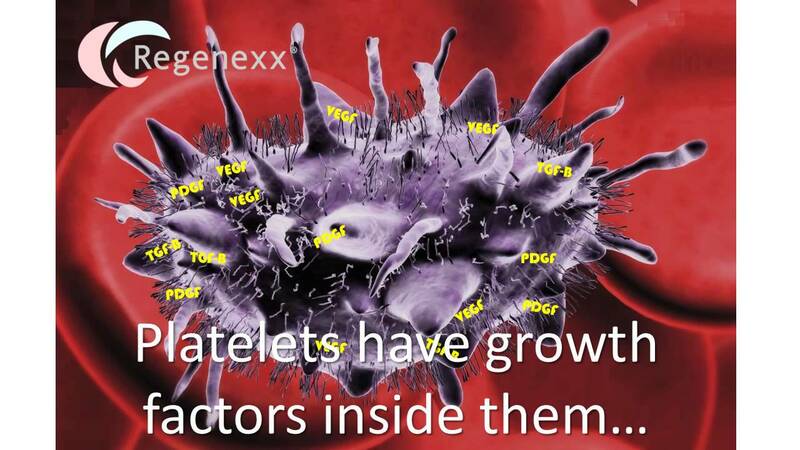 Regenexx offers the most advanced platelet lysate available. While many are just beginning to learn about PL, we are in our 3rd generation perfecting this solution on an ongoing basis.